Samir Dahman, the Partner in Charge of Kohrman Jackson & Krantz, LLP’s Columbus office, was selected for the third time as one of the 2016 Business Litigation Super Lawyers in Columbus by Ohio Super Lawyer magazine, which follows two years of being selected as a Rising Star. Samir Dahman founded Dahman Law and his firm recently merged with KJK, making him the new Partner in Charge of the firm’s office in Columbus. After an extensive nomination, evaluation, and research process, Ohio Super Lawyer magazine selected Mr. Dahman to the prestigious Super Lawyer list. It is a distinction reserved for only the top 5 percent of all lawyers in Ohio. The Super Lawyers patented selection process involves three basic steps: creation of the candidate pool, evaluation of candidates by the research department, and peer evaluation by practice area. The Super Lawyers research department evaluates each candidate based on these 12 indicators of peer recognition and professional achievement: verdicts and settlements; transactions; representative clients; experience; honors and awards; special licenses and certifications; position within law firm; bar and or other professional activity; pro bono and community service as a lawyer; scholarly lectures and writings; education and employment background; and other outstanding achievements. The Super Lawyers research staff also checks each candidate’s standing with the local licensing authority. And each candidate is asked to aver that they have never been subject to disciplinary or criminal proceedings. Final Internet searches are performed on each candidate to ensure there are no outstanding matters that would reflect adversely on the lawyer. Each lawyer is also contacted to ensure accuracy of all published information. Mr. Dahman and the KJK team are passionate about providing exceptional, client-focused legal services. They handle commercial litigation, business law, employment, and estate planning matters across Ohio and Michigan. But what makes Mr. Dahman different is that you will know up front how much you can expect to pay for legal services, instead of wondering how much you will end up being charged at the end. Mr. Dahman is able to do this by leveraging experience, creativity, and hard work, with value-based fee arrangements that provide clients predictability and results. So his services, including litigation, are handled on pre-determined, fixed fee or contingency bases. No hourly billing. Dahman Law attorneys Samir Dahman and Alex Ebert and Legal Analysts Aaron Burnside, Alexis Preskar, and Madison Walker have joined Kohrman Jackson & Krantz LLP‘s Columbus Office. At KJK, Mr. Dahman will serve as Partner in Charge of the Columbus Office. Samir is passionate about providing exceptional, client-focused legal services through value-based fee agreements. While Samir concentrates on business litigation involving disputes up to $65 million pending internationally, he brings a diverse practice, ranging from transactional work for start-ups to family estate planning to executive employment work. Notably, Mr. Dahman brings his acclaimed alternative/fixed-fee structure blended with an efficient and capable staffing model. He has taken alternative fee arrangements and flat billing to a new level, which KJK intends to further incorporate into its culture. Mr. Dahman has efficaciously led his team for years and he will continue the momentum with KJK’s Columbus office to ensure our success not just today, but for decades to come. “Samir and his team from Dahman Law are a terrific addition to the KJK family and our Columbus office in particular. We are committed to growth in both our markets, building on our traditions of excellence and creating a model for the future practice of law,” said Jon Pinney, KJK’s Managing Partner. Mr. Dahman previously practiced at two other large Ohio law firms before starting his own firm. Over the past few years, Samir built Dahman Law into a successful small Columbus law firm. In 2015, Samir was named a Top 5 Lawyer in Columbus and Top 100 Lawyer in Ohio in Super Lawyer Magazine. And for his civic and professional efforts he received a Forty Under 40 Award by Business First. He is licensed in Ohio and Michigan. Samir received a B.A. from the University of Michigan a J.D., from the Ohio State University Moritz College of Law, where he is also an Adjunct Professor. Alex Ebert, an analyst with Dahman Law and recent graduate of the University of Wisconsin Law School provided testimony for Ohio’s House Government Accountability and Oversight Committee, Tuesday, June 23. The committee was considering a bill to raise Ohio’s cap on alcohol-by-volume (ABV) in beer from 12 percent ABV to 21 percent, a move that local craft brewers say would help them compete with the more than 40 other states where high-ABV beers can be legally brewed and purchased. While attending The Ohio State’s Moritz College of Law, Ebert researched a law review article exploring how state regulations affect craft brewery entrepreneurship. Dan Ramos, sponsor of House Bill 68, asked Ebert to share his research insights with the committee, including the historical context of the law and considerations regarding public safety. Ebert was quoted in Columbus Business First, and in the Akron Beacon Journal. For the 4th year in a row Dahman Law will be sponsoring the Berkshire Triathlon benefiting Nationwide Children’s Hospital. Since its beginning in 2012, the Berkshire Triathlon has raised over $15,000 while hundreds of people have had a great time being active. 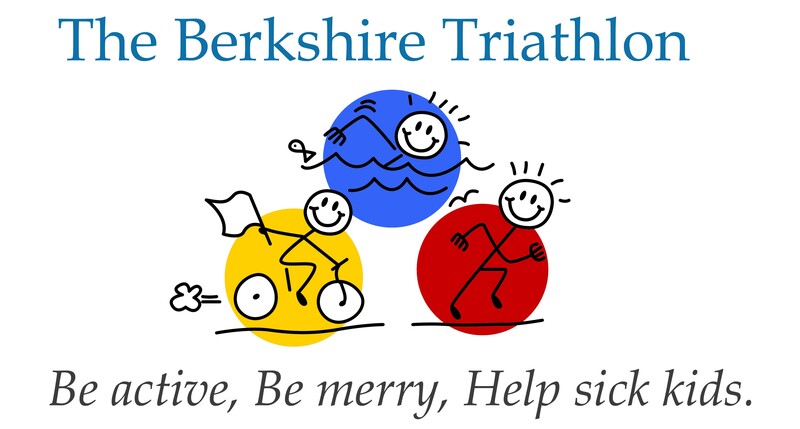 So Dahman Law is very proud to sponsor the 2015 Berkshire Triathlon. The event is a sprint distance triathlon followed by a BBQ with yard games and a silent auction. Some of the better reasons to participate are that the triathlon is not competitive (meaning you can do whichever parts you please and go at your own pace), you can do it as a team (one person does the swim, another person rides, and a third runs), and there is City Barbecue and cold beverages waiting at the finish line. 100% of the proceeds from the Berkshire Triathlon will be donated directly to Nationwide Children’s Hospital and an annual pediatric patient family in need. There are zero administrative costs. 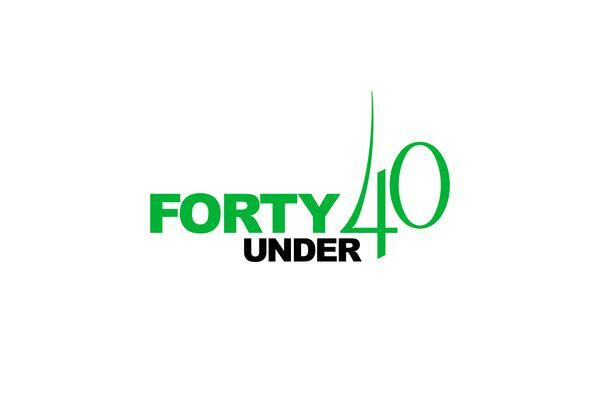 American City Business Journals’ local affiliate, Columbus Business First, recently announced its “Forty Under 40” class of 2015 and selected Dahman Law founder Samir Dahman as an honoree. As a rising professional and community leader, Samir received the award given to individuals who have made exemplary leadership contributions to their legal, business and civic communities. The 2015 honorees were chosen from a field of more than 350 nominations, a record for the 23-year program. In the Saturday, March 14, 2015 edition of the Columbus Dispatch, Dahman Law attorney Samir B. Dahman was quoted for providing insight on digital estate planning. Although not quoted, Research Analyst Aaron Burnside also contributed significantly to the article. So What is Digital Estate Planning? It is planning for how your digital assets will be protected and accessed after someone passes away. What You Can do to Protect your Digital Assets? The first thing would be to set up an estate plan, likely including a trust. Generally, the best thing to do is to appoint someone (such as the executor of your estate) to take control of your digital accounts, make a list of all of your online accounts and passwords, and give clear instructions on how to handle each account. Ohio does not have any laws regarding the digital property of a deceased person. How do I access a family member’s online accounts once they’ve passed? On January 8, 2015, Dahman Law attorney Jonathan N. Olivito argued the appeal of a favorable jury verdict on behalf of client RAE Associates, Inc. to the 10th District Court of Appeals, Case No. 14-AP-482. Olivito is a first year attorney and fresh graduate of Ohio State University’s Moritz College of Law. Normally, appellate oral arguments are reserved for senior attorneys. But because Olivito was ready for the responsibility and the firm strives to give every team member as rich of an experience as possible, Olivito was tasked with the challenge. The Moritz College of Law noticed Olivito’s unique opportunity and interviewed him for an article on the law school’s website and weekly electronic newsletter. The article is posted here. Dahman Law attorney Jonathan N. Olivito argued the appeal of a favorable jury verdict on behalf of client RAE Associates, Inc. to the 10th District Court of Appeals, Case No. 14-AP-482. After prevailing at a week-long trial, the unanimous jury not only awarded Dahman Law’s client RAE Associates $41,727.61 on its breach of contract complaint against Nexus Communications, Inc., but also rejected Nexus’ claim for $652,112.08. Nexus first objected to the jury’s findings by objecting to the Magistrate’s Decision. Then it filed a Motion for a New Trial with the Trial Judge. When it lost on both of those, Nexus appealed to the 10th District Court of Appeals. Dahman Law Obtains Complete, Unanimous Jury Verdict in Client’s Favor on Adversary’s Claims for Breach of Contract, Slander of Title, Civil Theft, and CSPA Violations. Dahman Law prevailed at trial on November 20, 2014 for its client Logan Insulating & Foam Service LLC in Fairfield County Court of Common Pleas, Case No. 13-CV-121. After a three-day trial, the 8 member jury unanimously and completely found in Logan Insulating’s favor and against Plaintiff Andrew Cooke on Cooke’s claims of breach of contract, slander of title, civil theft, and CSPA violations related to a $500,000 construction project at his home. Interestingly, Cooke himself is a lawyer in New Albany and partner at the law firm of Cooke & Gleason, LLC. Through comprehensive fact and legal research, working closely with the client, coordinated preparation, and adhering to high ethical and legal standards, Dahman Law was able to secure the win. This recent trial is yet another example of how Dahman Law works with its clients, especially small business owners, to make sure all of their legal needs are met. Dahman Law is now 3-0 at trial in the past 2 years, including two unanimous jury verdicts and one bench trial verdict where it is being awarded attorney’s fees. Attorney Jonathan N. Olivito has joined Dahman Law, LLC’s Columbus, Ohio office. Mr. Olivito’s practice includes commercial litigation and employment law. Mr. Olivito previously worked at the Ohio State University Office of Legal Affairs and Ohio University’s Voinovich School of Leadership and Public Affairs. He is also a member of the prestigious Order of the Coif. The team at Dahman Law is passionate about providing exceptional, client-focused legal services. They handle commercial litigation, business law, estate planning, employment, and immigration matters across Ohio, Michigan, and internationally. But what makes Dahman Law different is that you will know up front how much you can expect to pay for legal services, instead of wondering how much you will end up being charged at the end. Dahman Law is able to do this by leveraging experience, creativity, and hard work, with value-based fee arrangements that provide clients predictability and results. A testament to our experience is the fact that its attorneys hail from Am Law 200 firms and corporate backgrounds. So all of their services, including litigation, are handled on pre-determined, fixed fee or contingency bases. No hourly billing.